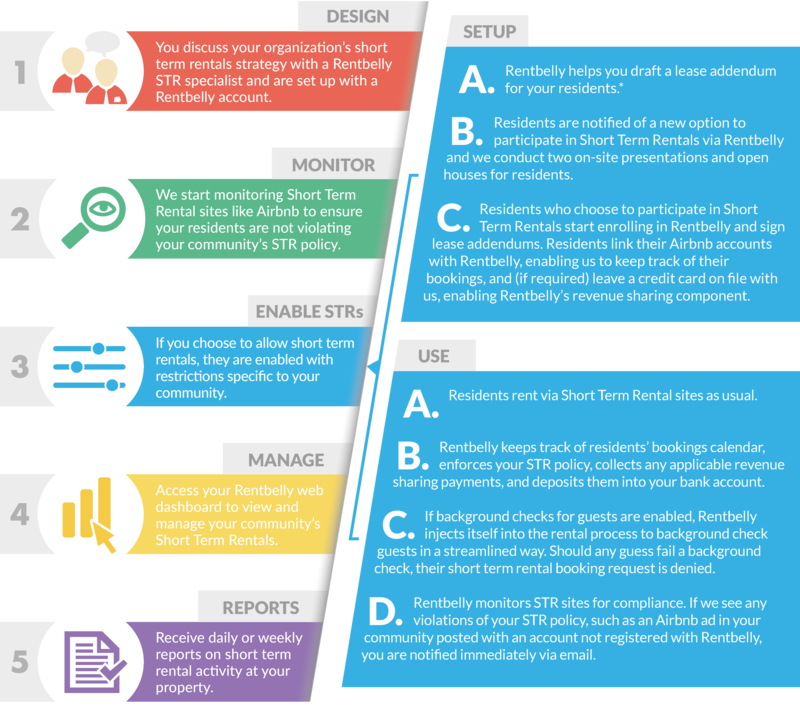 Rentbelly is a web-based service for building owners, property managers, and HOAs that enables you to implement and enforce your community’s Short Term Rentals (STRs) policy. Given the surging popularity of sites like Airbnb, every community needs to have a thought out approach to short term rentals. Should there be a blanket ban on short term rentals? Should they be allowed, but with certain restrictions, like background checks for every guest? If short term rentals are allowed, should you also benefit by requiring residents to share a portion of their revenue with you? Whether you prohibit STRs outright, or allow them but with certain restrictions, our system enables you to implement your policy and ensure compliance. 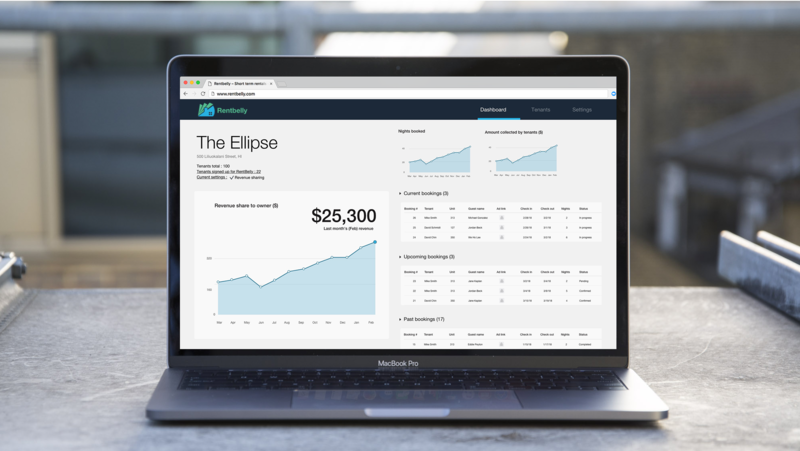 Automatically collect a share of the total Short Term Rental revenue made by your residents. Give your community managers a detailed view on who’s coming and going in and out of your property. Require that every short term rental guest is screened. Do not grant access to anyone who fails the background check. Ensure that your residents’ short term rentals are compliant with your local STR regulations. Restrict the maximum number of nights per year that a resident can rent their unit on short term rental sites. In addition, if you use revenue sharing, Rentbelly collects a 2.5% fee on the short term rental revenue made by residents. This 2.5% fee is paid by the resident and appears as a line item on the revenue sharing receipt. © 2019 Rentbelly. Rentbelly is not affiliated with Airbnb.com. Airbnb is a registered trademark of Airbnb, Inc.